It’s time for you to shift your thinking about millennials. The millennial generation has endured more than its fair share of criticism, particularly in the workplace. But this blanket generalization of millennials is just that—a generalization. Millennials are taking the world by storm with big ideas they execute with passion and persistence. “Millennial” is just a box others are putting them in—a box they break out of every day. Meet three millennial salon owners who are rocketing their businesses to record growth through innovation, creativity, and a lot of hard work. 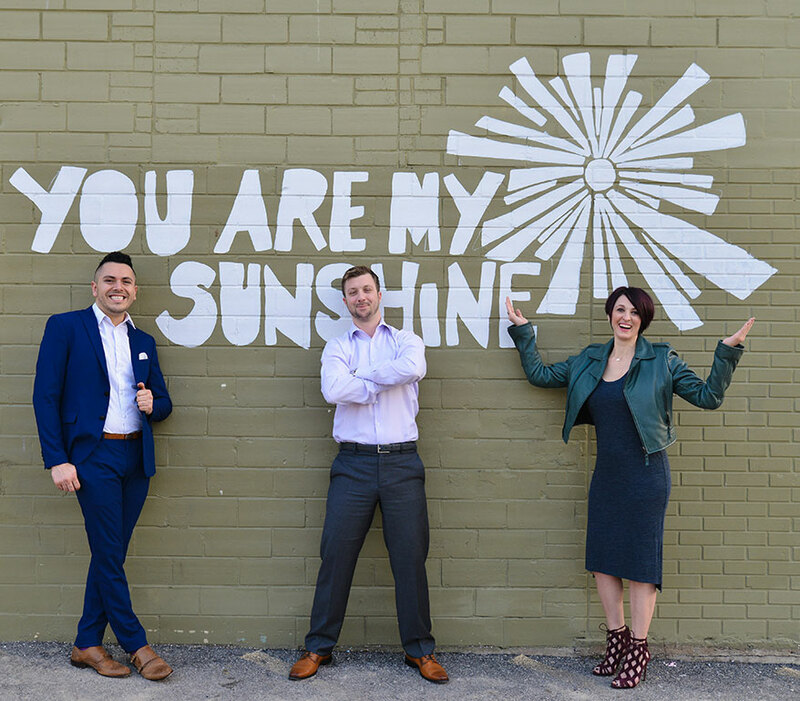 The Success Story: Sister and brother owners Fiona and Rory Tolunay opened their second location in the Heights area of Houston in December 2016 with partner and creative director Alex Zuniga. At 1,800 square feet, the space is about half the size of their original Tanglewood location, but it’s proving to be a profit powerhouse. In the first quarter of 2018, the Heights location saw a 42 percent increase over the first quarter of 2017 in service gross sales, and a 48 percent increase in product gross sales. Numbers are up across the board, and the Tolunays feel the potential is still being tapped. The location, in the heart of the trendy Heights, filled with boutiques and restaurants, has been a big factor in the fast growth, Fiona says. The Tolunays ramped up the retail area, setting up a special makeup space for customers to have a makeup experience in the salon. How They Did it: Before they even found their new location, a growth plan was in place. Fiona was invited to participate in a special Goldman Sachs small business program where she was assigned to work on a growth plan. With a business plan in place, location was the next important decision. One night while having dinner, the Tolunay family noticed a business had gone under at a premium corner space on the hottest street in town. They made a call immediately and snagged the coveted location. “It drives a lot of walk-ins for us,” Fiona says. “We get a lot of people who don’t know what Vanity is and so they come in to see what we’re all about.” The Tolunays worked with their marketing firm to find a way to turn all those walk-ins—especially the ones buying retail—into clients. The small break room at the new location is purposely designed to be very small, so stylists don’t congregate there. 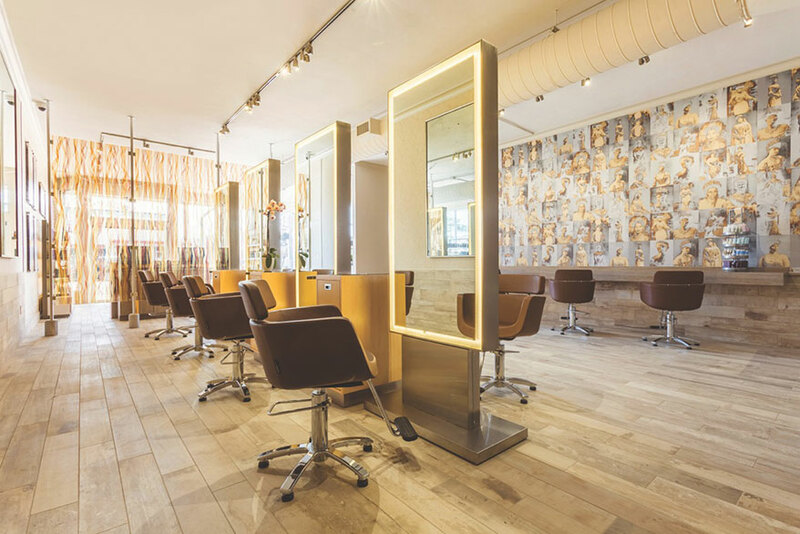 Instead, they can be found on the salon floor, offering casual consultations to walk-in guests. They may also be the ones to hand over the $20 off coupon and even pre-book the guest before they leave. Now in the middle of a thriving community where sip-and-shops, parades, and festivals occur every month, Fiona says they’re always trying to stay ahead of trends in marketing. Where They’re Going: The success of the Heights location has inspired more growth for the Tolunays. They added a new stylist at the end of their first year and currently have an apprentice going through their education program who will start in fall 2018. The Success Story: Growth is the name of the game for Bella Style owner Jen Baudier. She has been in business for eight years and each year takes on a new challenge to better her business. 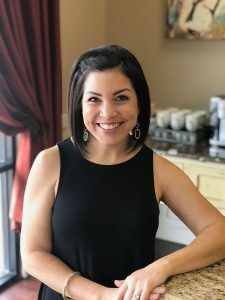 Two years ago, that challenge was buying real estate and moving her 900-square-foot salon to a 3,800-square-foot space she renovated in a historic part of town. She was only 31 years old when she accomplished the half million-dollar project. “I wanted to be part of our community, so I decided to buy a building,” she says. “I had a mentor come in and coach me, and after she left, I was amped up. I knew it was now or never. Last year, she achieved 20 percent growth, earning her a place in the SALON TODAY 200. This year, she’s aiming for 30 percent. And so far, she’s on track to achieve it. “Each stylist set their goal at 30 percent in services over what they did last year,” Baudier says. How She Did It: Baudier says the secret to her success is easy: numbers. “I’ve taught my staff early on that their chair is a business,” she says. Pre-booking, retail, service sales—Bella Style stylists know them all and more. And with the help of the SalonBiz Stylist App, they look at those numbers every day as well as a future revenue report to figure out what they need to do to get to their goal. Baudier also makes sure the customer experience is second to none. Baudier says she has always been driven and hungry to make a name for herself, and money in the process. 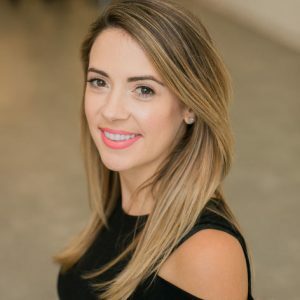 A few years ago, when she was offered a spot in the Goldman Sachs business program, she snatched it up, eager to learn more about how to grow her business. Where She’s Going: In the new location, Baudier has been able to add services and team members. She’s also pulled herself out from behind the chair so she can work on the business, not in it. An added bonus? She no longer works Saturdays. Her plans continue to evolve in the direction of growth. Because of these findings, Baudier thinks a second location in a neighboring community is a strong possibility. And in turn, guests are making Bella Style a success story. The Success Story: Lauren Stell had been working as a stylist for almost a decade when opportunity knocked. Stell opened the doors of Gloss in 2012 and spent her first four and a half years trying every retail line imaginable. 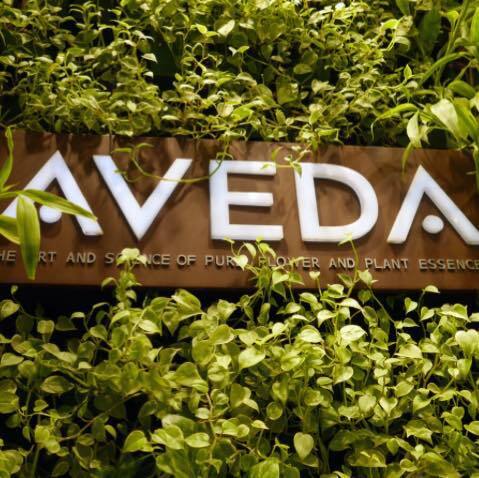 Enter Aveda. After turning away her Aveda rep, Victoria, several times, Stell finally sat down with her to hear what she had to say. 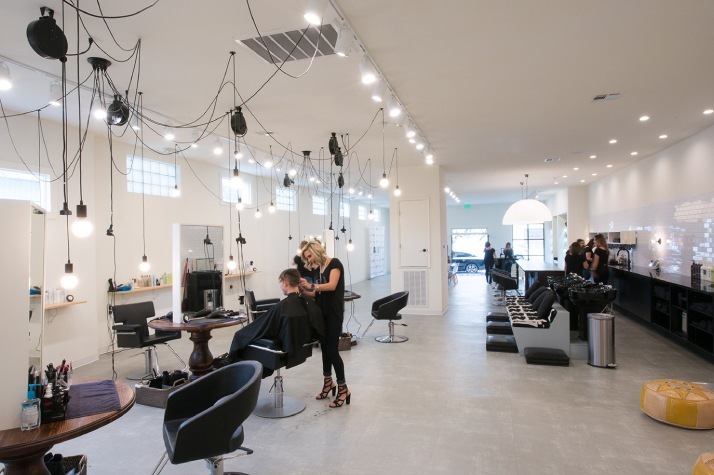 Product education and classes both in-salon and at the Institute have elevated Stell’s business and changed her retail dramatically. She went from selling $0 retail per month to $2,000-$2,500 per month after a year of using Aveda. “We only have four stylists right now, so I know that’s just scratching the surface,” she says. How She Did It: Before taking on Aveda, Stell’s business was succeeding, but just barely. And she was also growing stagnant. 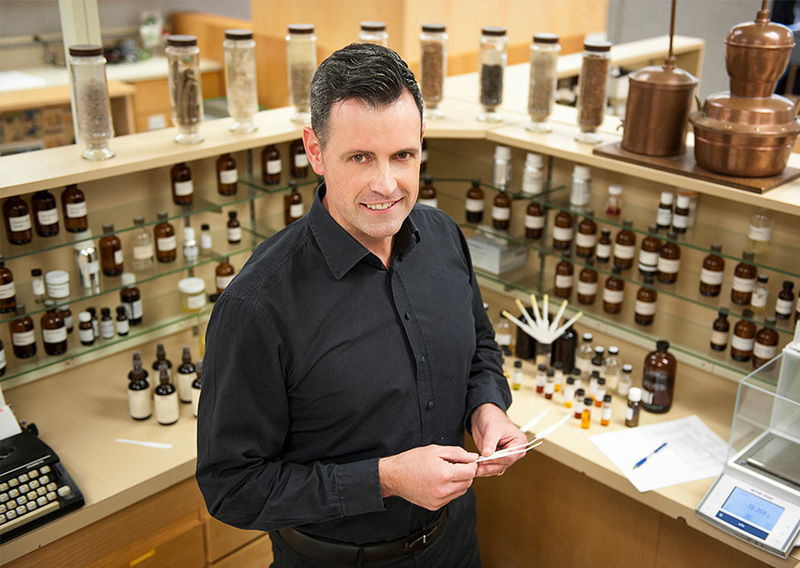 Not only has becoming Aveda made her more accountable, Stell says it has also reignited a creative fire. As one of only two salons in her area that provide Aveda, clients are finding Gloss without any marketing on Stell’s part. “We are in a huge oil and gas area, so we have access to new client bases all the time,” Stell says. “Since becoming affiliated with Aveda, people call and book simply because they are looking for a brand they know and trust. In turn, all we have to do is provide what Aveda has taught us, and we have a new loyal client—it’s incredible! And getting her current staff on board with the change was not as difficult as Stell anticipated. Stell herself never thought she could whole-heartedly embrace one line, but says Aveda has made it simple. The amount of money the salon has saved by using Aveda has left Stell room in her budget for other things, and the support has been priceless. “We have had more education in the last year than we had the whole five years that Gloss has been open,” she says. “Before, we had four other color lines and many product lines. How many of those sent educators out for the day once a month? How many e-mailed and texted to check-in? How many genuinely had an interest in our salon’s well-being and growth? None. 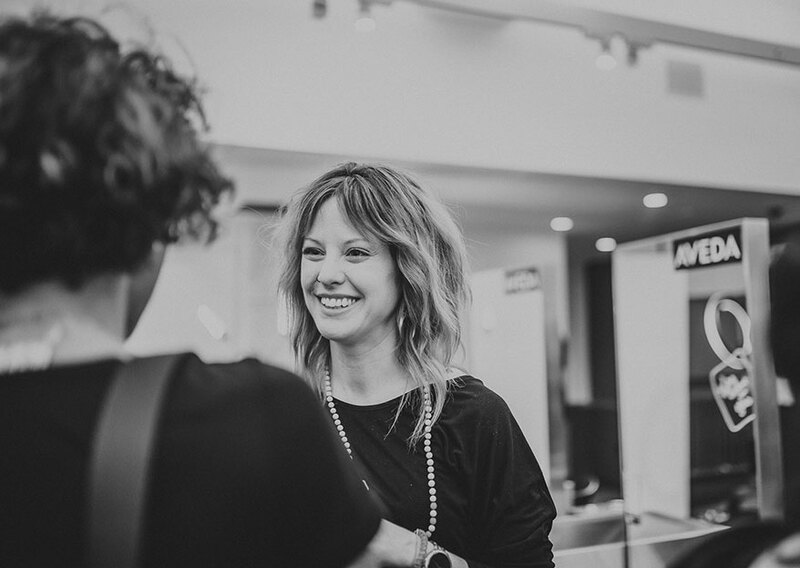 Where She’s Going: Stell says the salon’s growth in the past year since taking on Aveda has been nothing short of amazing. And with two apprentices, she is anticipating even more growth in the coming years. After getting a taste of Aveda education, Stell says she’d like to take her staff to events like Congress as well as continue to attend advanced education classes at the Institute.